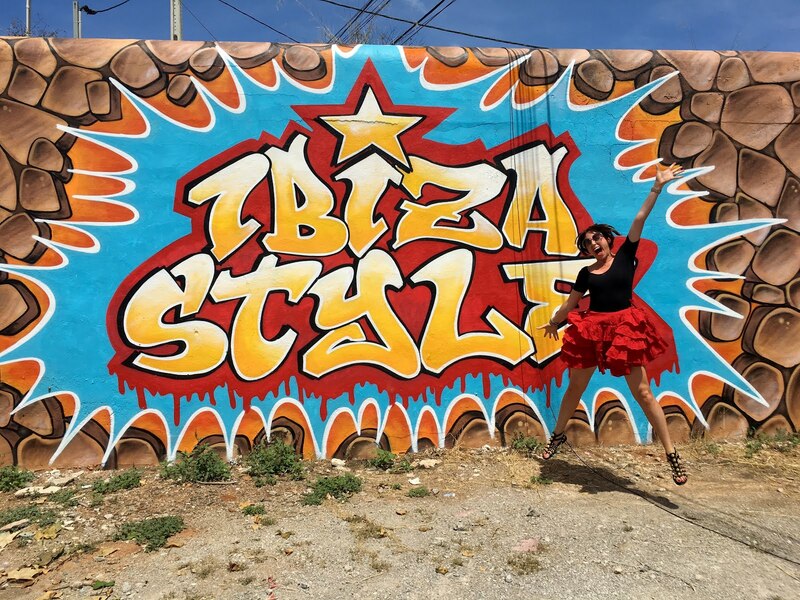 While we were en route to the airport I couldn’t resist doing a pitstop at this awesome graffitied wall in Ibiza. 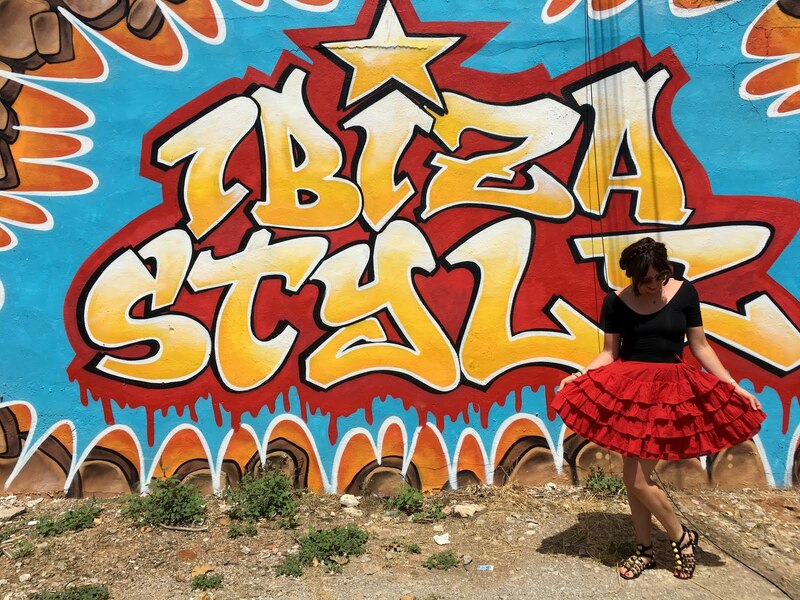 The colours worked brilliantly with the new World Family Ibiza RaRa skirt I bought at Las Dalias hippy market. 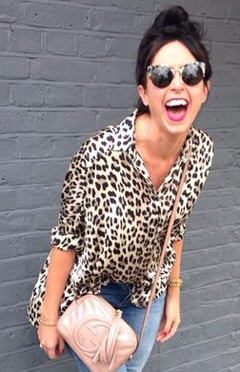 The overall look is a bit Spanish señorita, but who doesn’t want to look like a dancing emoji these days?